﻿ Understanding the Power of Email Marketing Relationships » Red Mango Marketing! When we think of Fall, many of us think cooler weather, earlier sunsets, and apple picking. But for the majority of small business and nonprofits, this time is used to prepare for and launch into the race towards year-end goals. Timing is everything, which is why it is important to take this time to really develop strong relationships with your customers and supporters. If you wait too long to build this trust, it could be too late to affect your year-end goals. The answer to this question relies on one very important factor—who’s asking? Your reply to a complete stranger is going to be different than the reply to a long-time friend. It’s the nature of the relationship that colors the response and the actions you take. The same is true for email marketing. When you allow your email contacts to get to know, like, and trust you, over time you’ll find yourself with more relationships that lead to, “Yes.” This means repeat purchases, referrals, and long-time loyalty. Let’s take a look at how to make the most of your email marketing relationships so you can grow your organization. Both good things, but due to the nature of these networks, you don’t have much control over who sees your updates or even when they see them. Not to mention these connections aren’t necessarily yours. Facebook, LinkedIn, Twitter, and any other network can make changes that impact your ability to connect. And in a worst case scenario, the social networking site could go away completely, which means you’re left with nothing. This is why you should always be looking to eventually move these social connections to your own turf, your email marketing list. Now you control the experience and you don’t need to worry about losing these connections because they’re your contacts. The only way you can lose them is if they unsubscribe. In most cases, you’ll want to offer some type of free resource on your website in exchange for an email address. This could be a special report, a guide, behind the scenes information, or some type of special discount for email subscribers. Choose something that gives immediate value to your email subscribers. And in order to keep them on your list long term, you’ll want to think about how you can consistently deliver information that keeps them engaged so they want to come back for more. Chances are you already provide a great experience for your customers or supporters when you’re face-to-face. Let email marketing extend that experience. When someone takes that step to subscribe they’re saying, “I’d like to get to know you better.” They’ve invited you into their inbox. You don’t want to abuse that relationship by constantly promoting your products and services. You want to create a newsletter with content your subscribers aren’t going to get anywhere else. What this information is depends entirely on your industry, your company goals, and what will move your readers to action. A great rule of thumb is to create relevant content your readers will find interesting, useful, or otherwise entertaining. Stuff that could stand on its own even if you had nothing to promote. As the connection with your subscribers grows, so does the likelihood of them connecting with your business or organization. And the benefits of this connection can come in many forms, possible collaborations, new opportunities, people spreading the word about you, and gaining new and repeat customers, donors, or volunteers. Email marketing allows you to control the message, when it goes out, and who receives it. Subscribers have actively made a decision to give you permission to contact them which means they’re interested in what you’re offering. You’re able to build stronger relationships with people, and people do business with or help people they know, like and trust. Someone has made the choice to join your contact list. They’ve given you their email address and most importantly, they’ve agreed to give you their attention. That attention can prove invaluable if the relationship is treated with respect. So if you work hard at building these relationships now, you’ll not only gain more customers and supporters, but you might even be able to get a ride to the airport next time you need one. Kick-off this season by building these relationships and you’ll be able to finish out the year strong. It’s time to get back to business with email marketing. Log in to your Constant Contact account today. 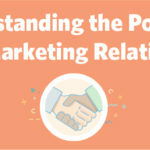 The post Understanding the Power of Email Marketing Relationships appeared first on Constant Contact Blogs. This entry was posted on Monday, September 17th, 2018 at 8:30 am	and is filed under Email Marketing, Featured, News & Updates, Permission-based Marketing, Social Media. You can follow any responses to this entry through the RSS 2.0 feed. Both comments and pings are currently closed.